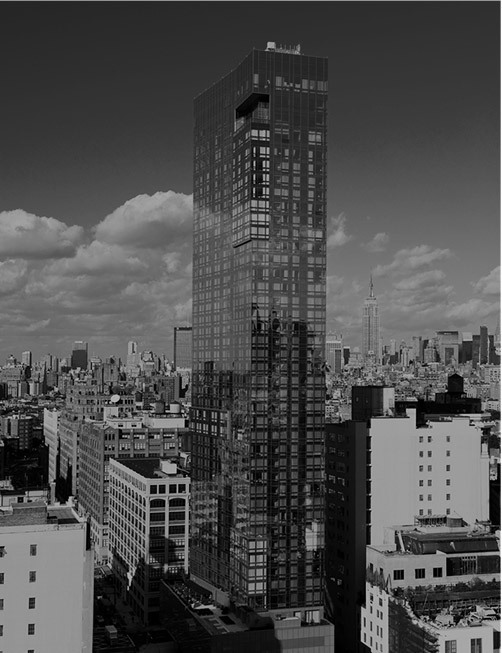 Experience The SoHi Collection at The Dominick. 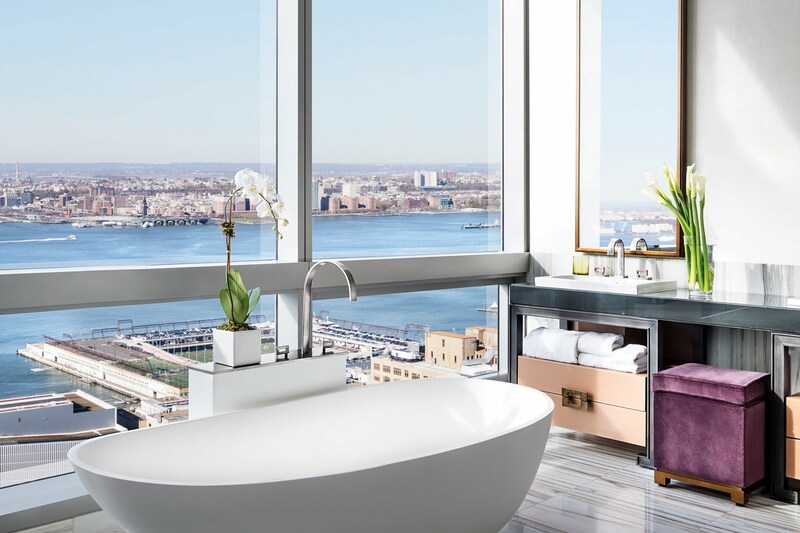 These exclusive suites and penthouses are located on the top floors of the hotel offering stunning views of New York City’s gorgeous skyline, including landmarks such as the Empire State Building, One World Trade Center, and magnificent sunsets over the Hudson River. 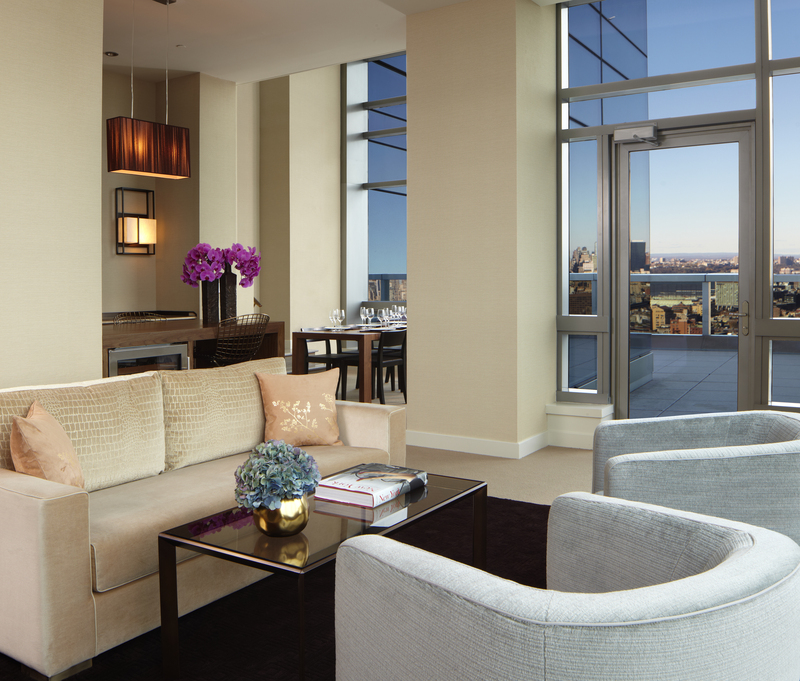 Reserving any of our SoHi Collection suites or penthouses includes the personal service of our Luxury Ambassador team from pre-arrival through checkout, and a host of complimentary amenities and services to ensure a memorable stay. 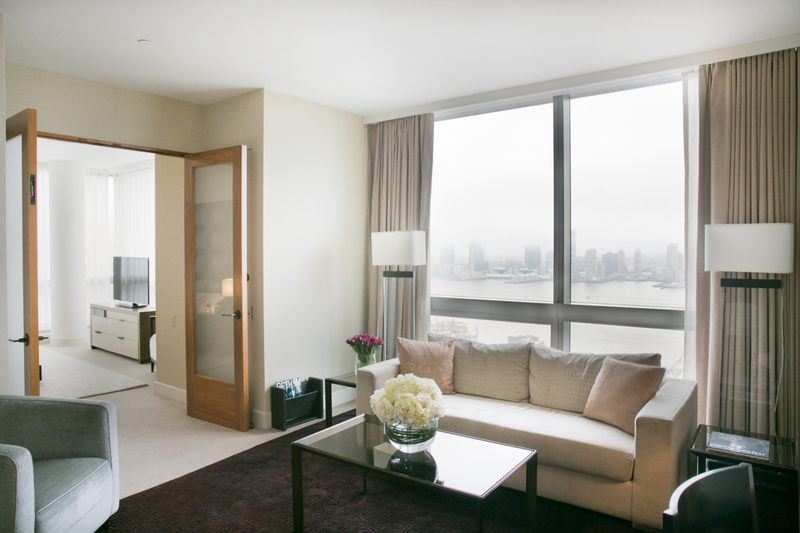 Our elegant SoHi Collection one-bedroom suites feature a separate living space — perfect for business meetings and entertaining while retaining guest privacy and a good option for small families. 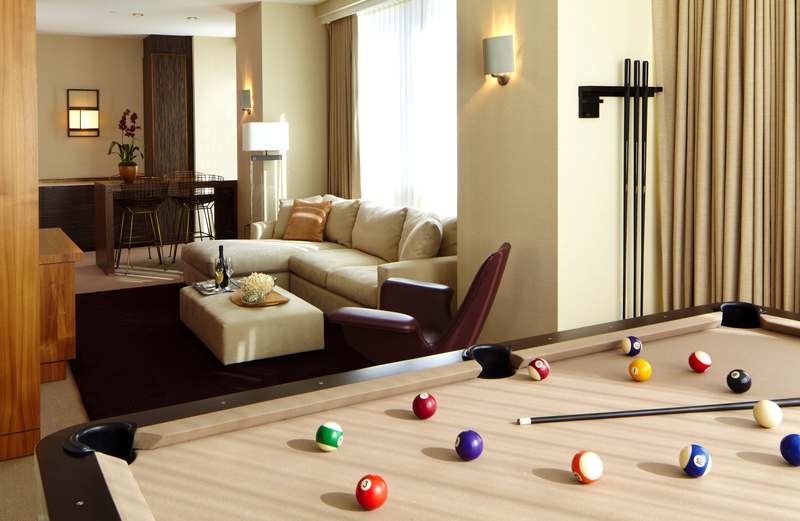 A complimentary double-size sofa bed is available along with all of the SoHi Collection amenities and services. 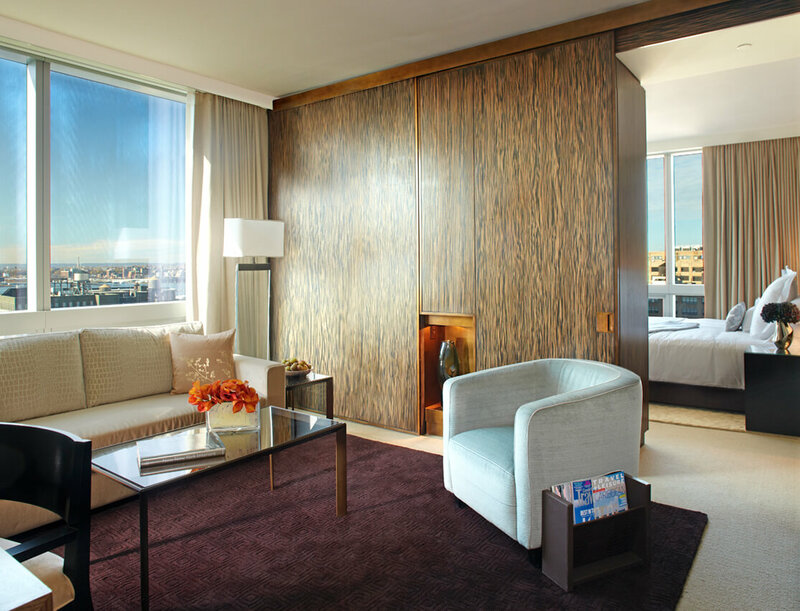 Our spacious SoHi Collection two-bedroom suites consist of a king room connected to a one-bedroom suite, offering two separate bedrooms plus living area with double-size sofa bed, and two full bathrooms. 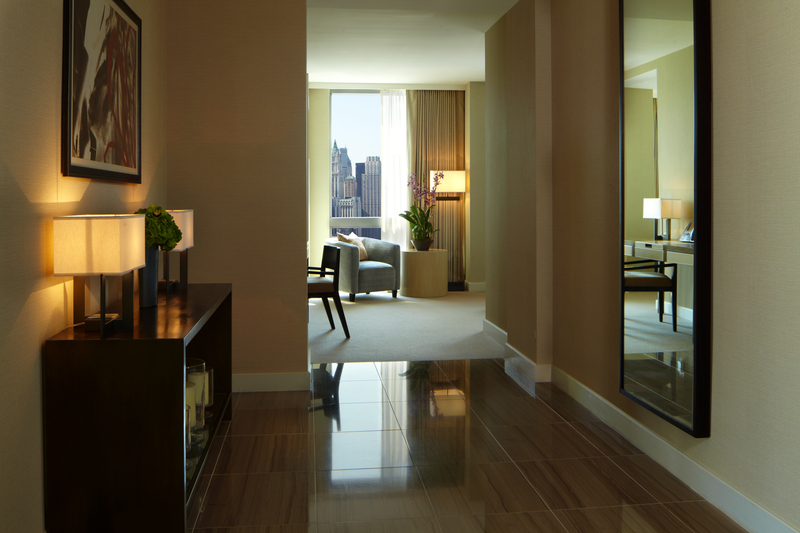 This suite features all SoHi Collection complimentary amenities and services. 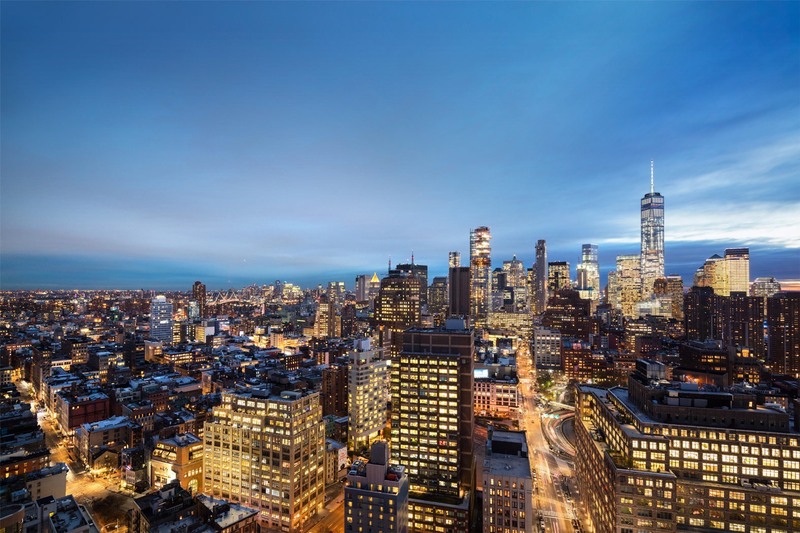 The Dominick Duplex Penthouse offers one of the most expansive views of Manhattan from its perch on the 43rd and 44th floors of The Dominick. 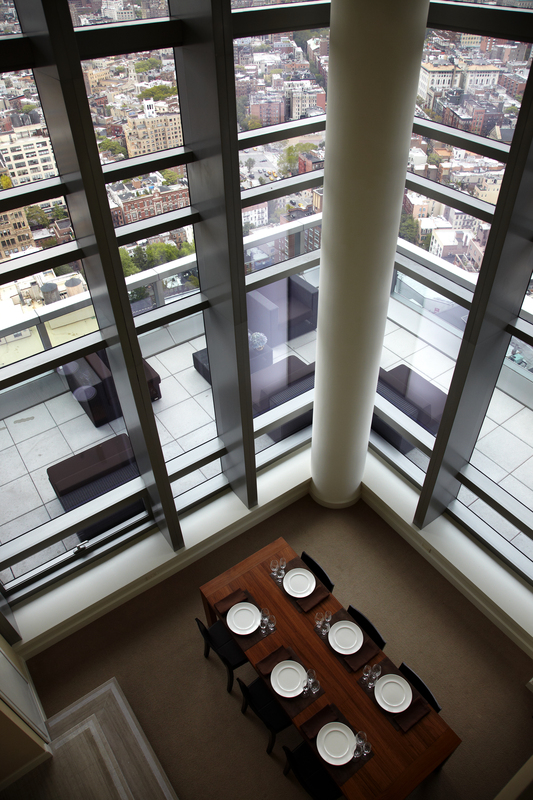 Double-height floor to ceiling windows and an outdoor terrace provide sweeping views of the Hudson River, Midtown including the Empire State Building, the East side of Manhattan and its lower bridges. 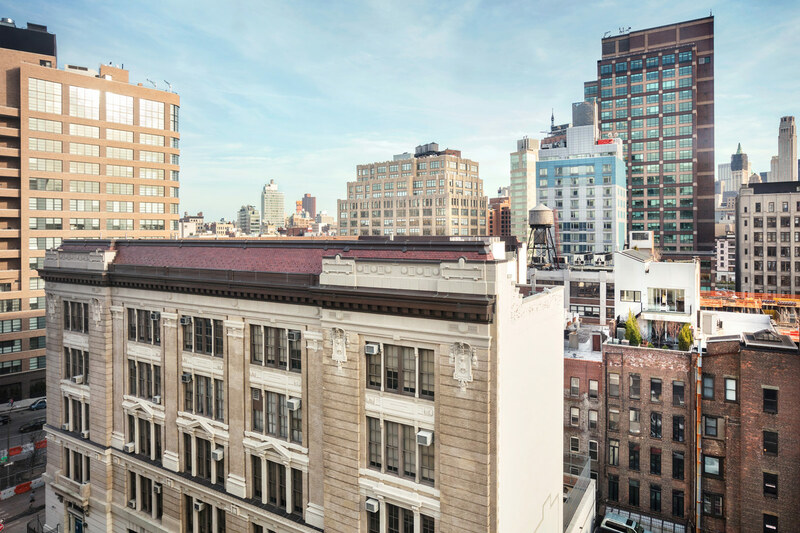 This bi-level penthouse has a bedroom on each floor with private marble bathrooms, a separate powder room on the first floor, separate parlor areas on each level, as well as the terrace, providing an optimal space to unwind or host an intimate party. 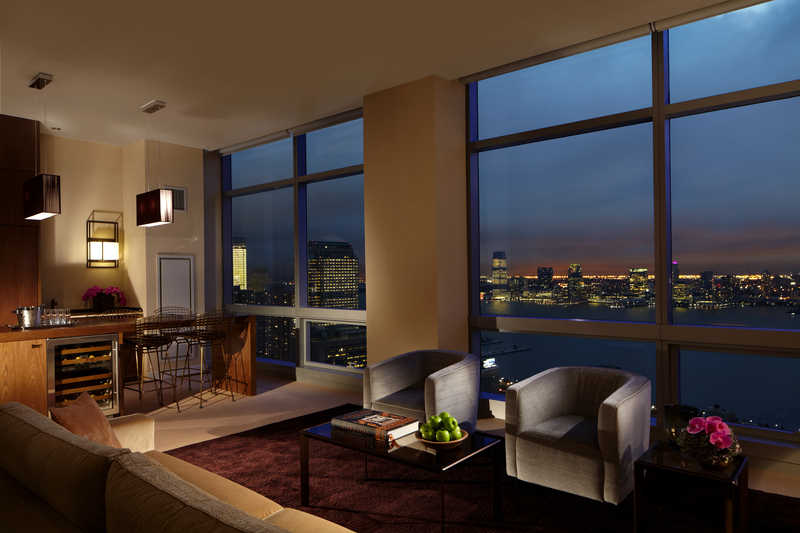 The spacious penthouse offers designer Fendi Casa furnishings, sophisticated décor, granite countertops and a leather-topped desk add to the sense of luxury and residential feel with microwave, Nespresso machine and wet bar. 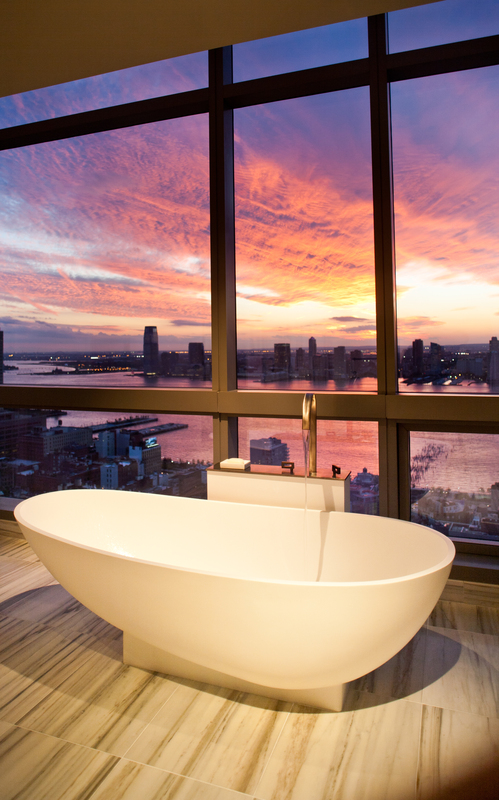 The oversized marble bathrooms include a stand-alone shower. 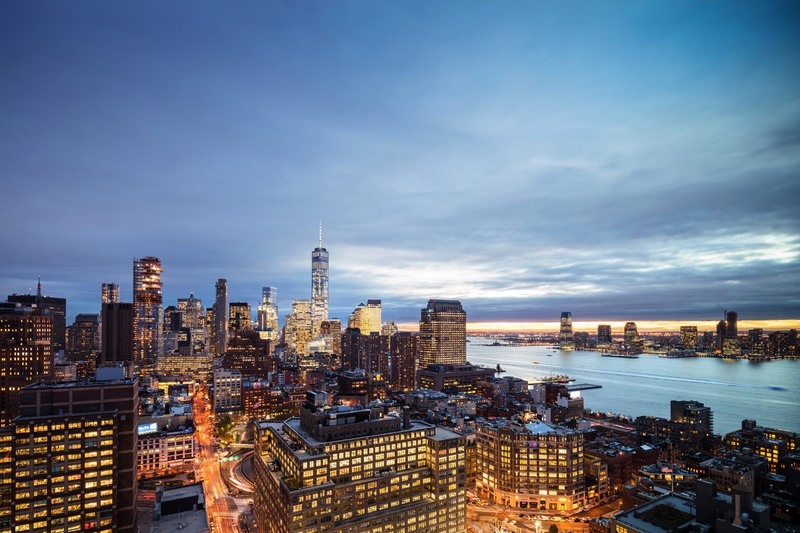 These Landmark Sunset Penthouses are located on the 43rd and 44th floors for stunning Hudson River sunset views combined with city views that include iconic landmarks--either One World Trade or Empire State Building. 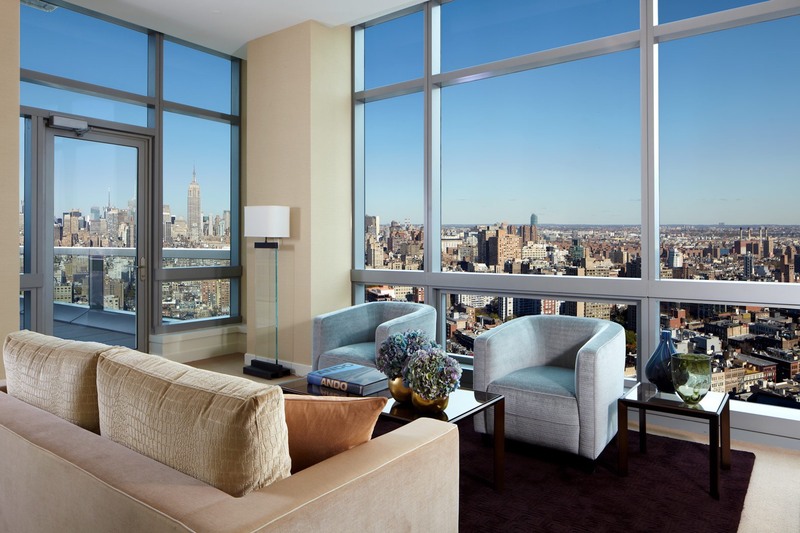 These spacious two-bedroom penthouses offer designer Fendi Casa furnishings, sophisticated décor and 10-foot floor-to-ceiling windows for natural light. 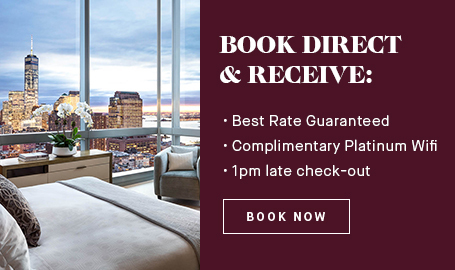 The suites feature two bedrooms with ensuite bathrooms, and a large separate living space that ensures privacy for business meetings or entertaining. 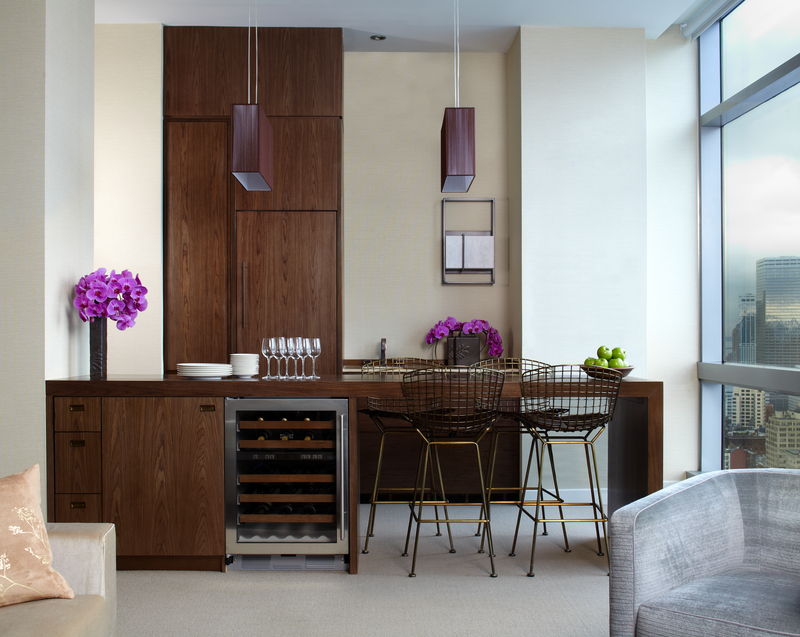 Granite countertops and a leather-topped desk add to the sense of luxury and residential feel with microwave, Nespresso machine and wet bar. 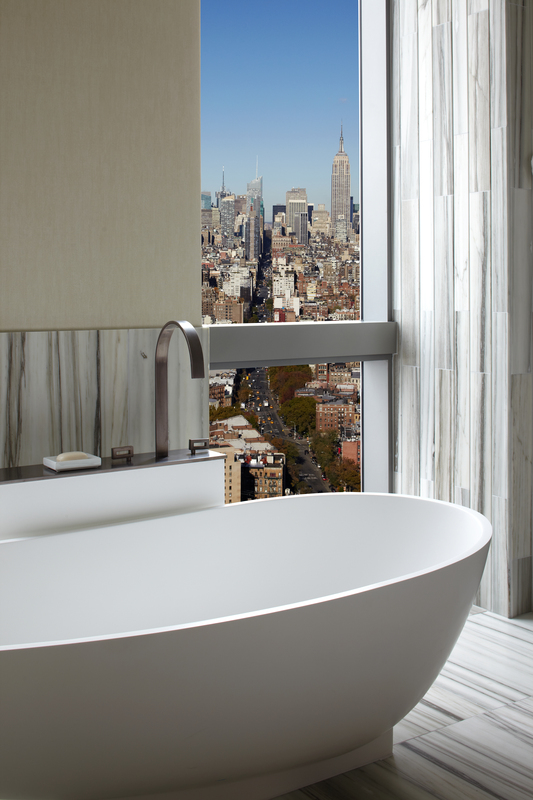 The oversized marble bathrooms include a stand-alone shower. 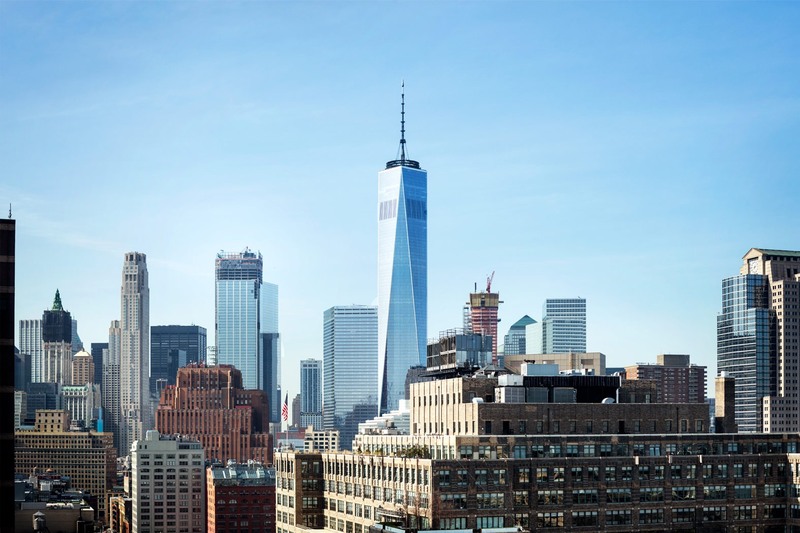 These Landmark Penthouses are located on the 42nd and 43rd floors for stunning city views that include iconic landmarks--either One World Trade or Empire State Building. 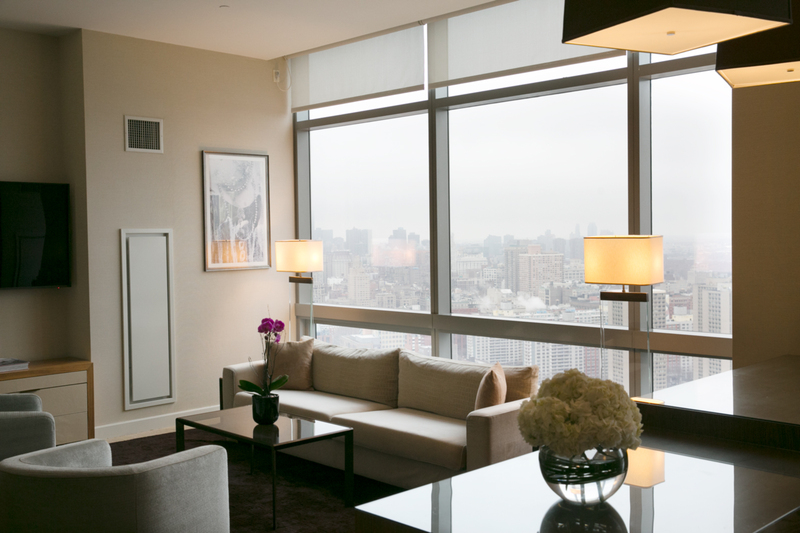 The two-bedroom penthouses offer designer Fendi Casa furnishings, sophisticated décor and 10-foot floor-to-ceiling windows for natural light. 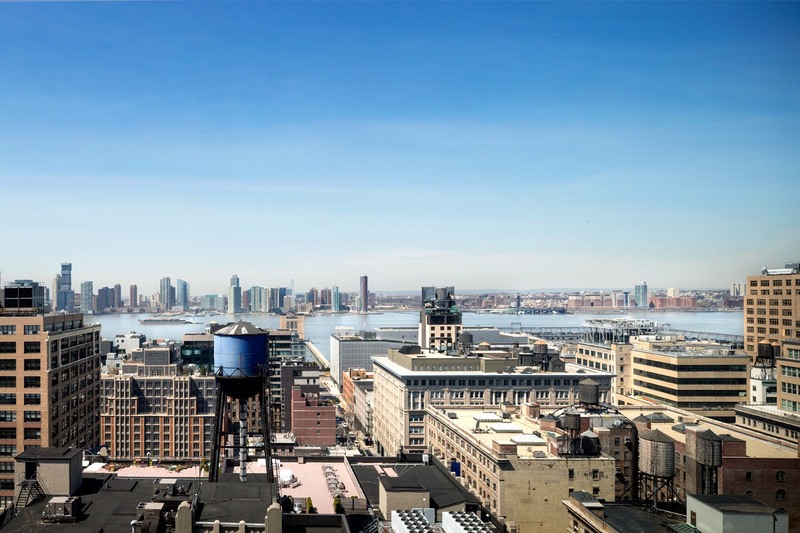 This spacious TriBeCa Penthouses is located on the 33rd floor for stunning views of the Hudson River and downtown Manhattan including One World Trade. 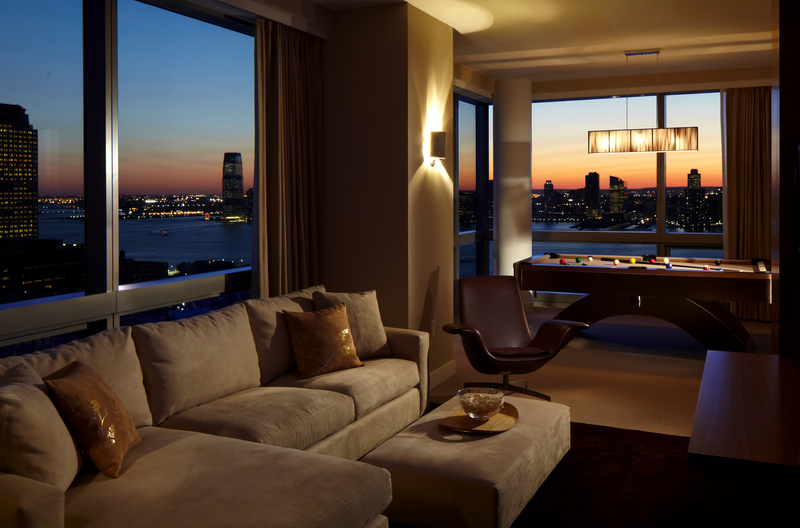 A pool table situated at the corner of the L shaped living space, divides two graciously sized living areas; one with a kitchenette and breakfast bar and an additional seating area that overlooks the Hudson. 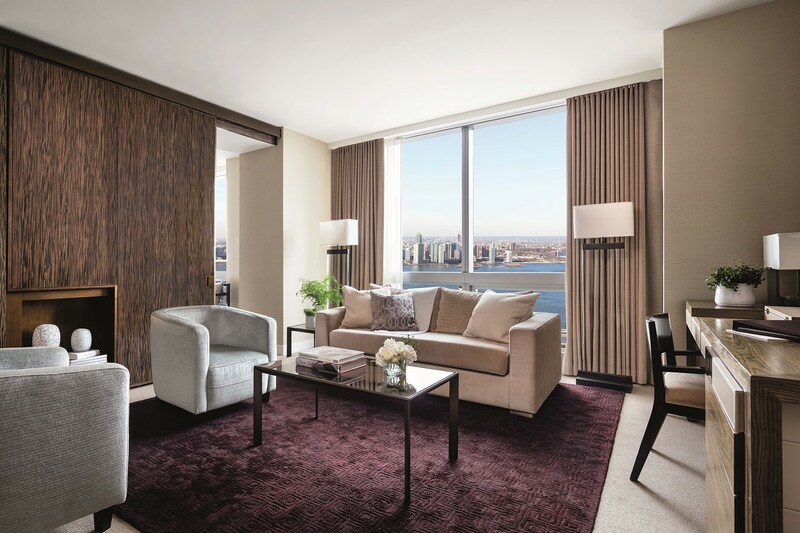 The two-bedroom penthouses offer designer Fendi Casa furnishings, sophisticated décor and 10-foot floor-to-ceiling windows for natural light. 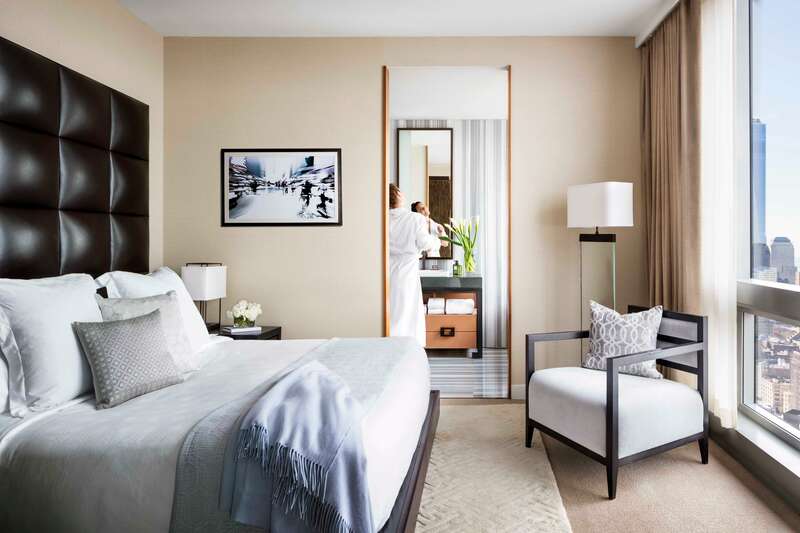 The suite features two bedrooms with ensuite bathrooms, granite countertops and a leather-topped desk add to the sense of luxury and residential feel with microwave, Nespresso machine and wet bar. 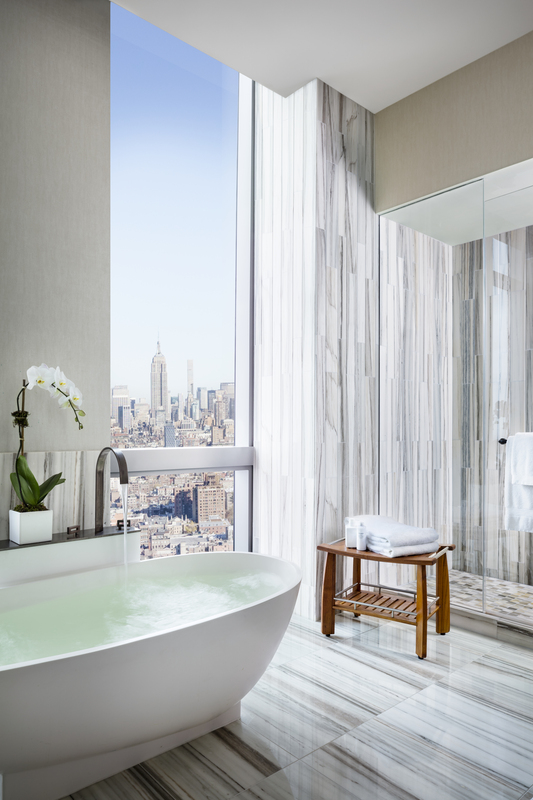 The oversized marble bathrooms include a stand-alone shower. 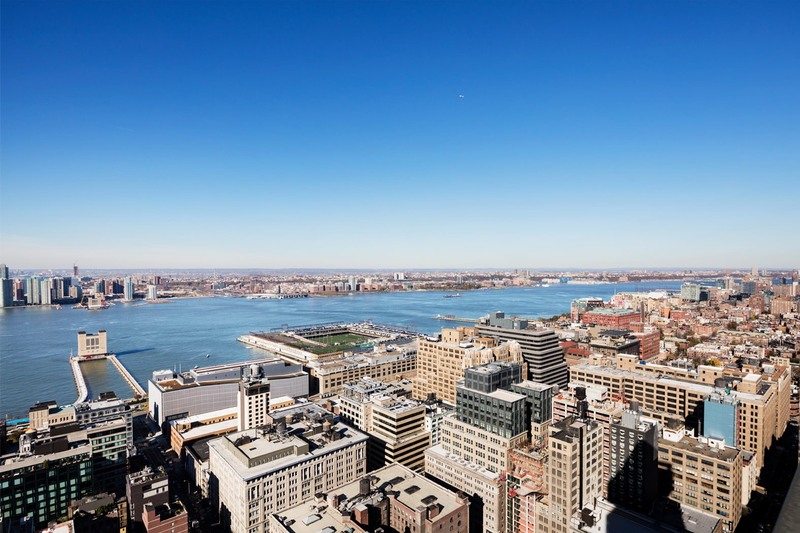 These spacious Junior Penthouses are located on the 42nd floor for stunning views of the Hudson River and either One World Trade or the Empire State Building. 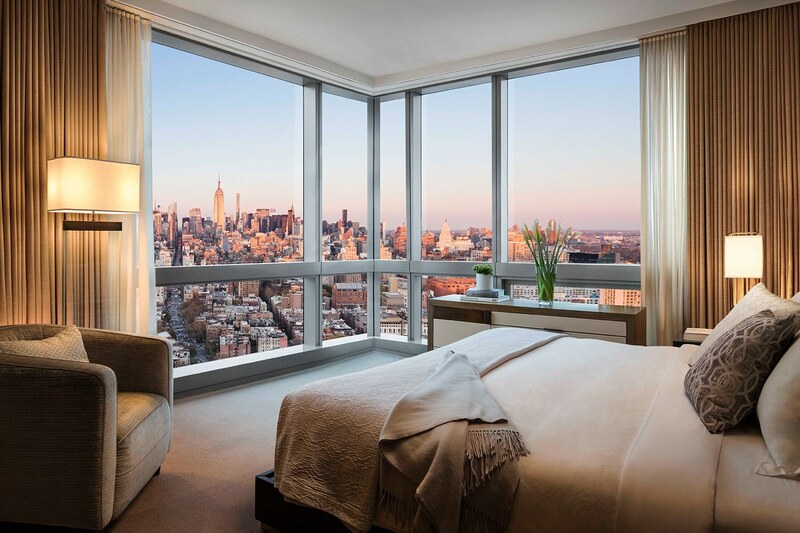 Two-bedroom junior penthouses offer designer Fendi Casa furnishings, sophisticated décor and 10-foot floor-to-ceiling windows for natural light. 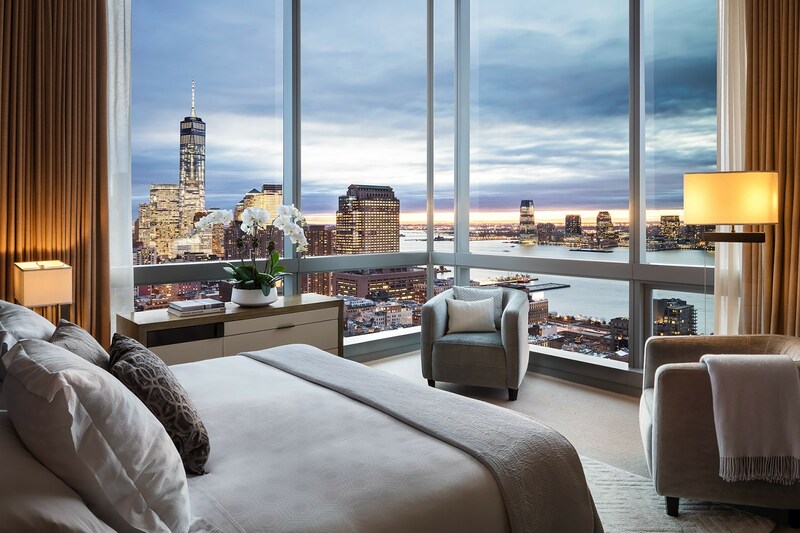 Open the curtains wide and behold the city from floor-ceiling windows. 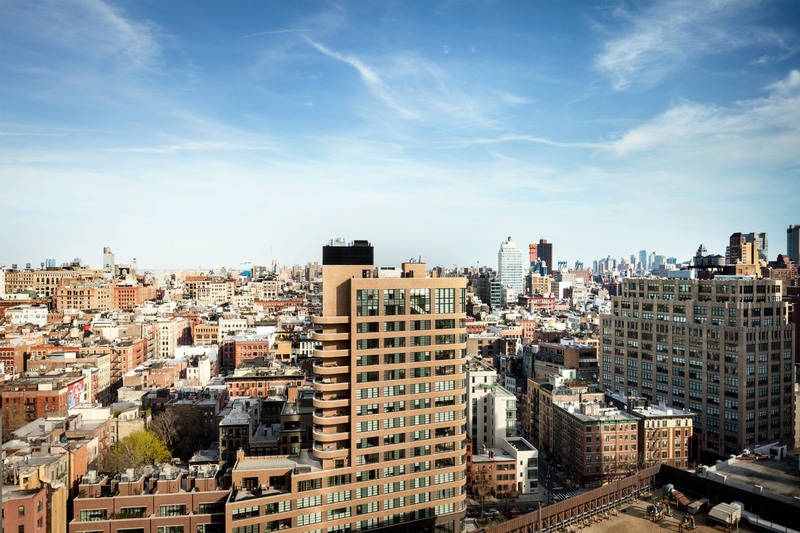 Take in views of the historic Hudson Square neighborhood, the New York skyline, the Hudson River and further beyond. 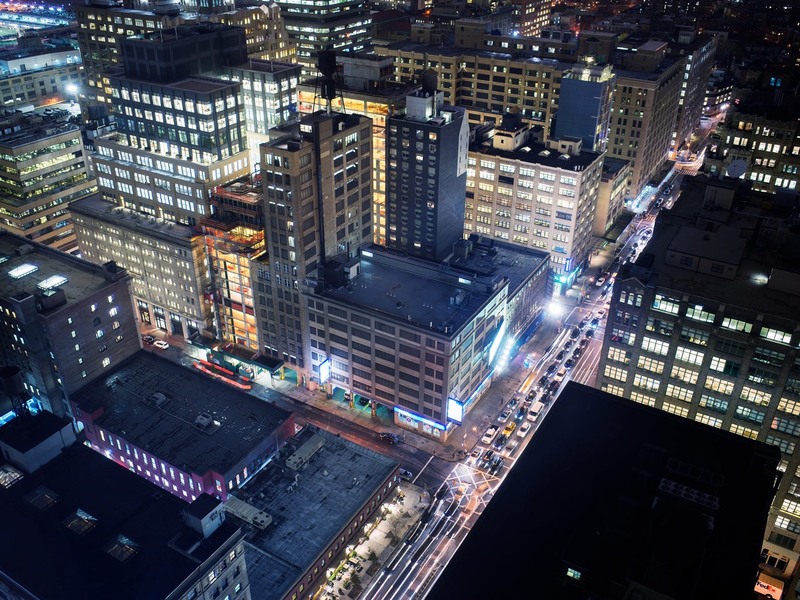 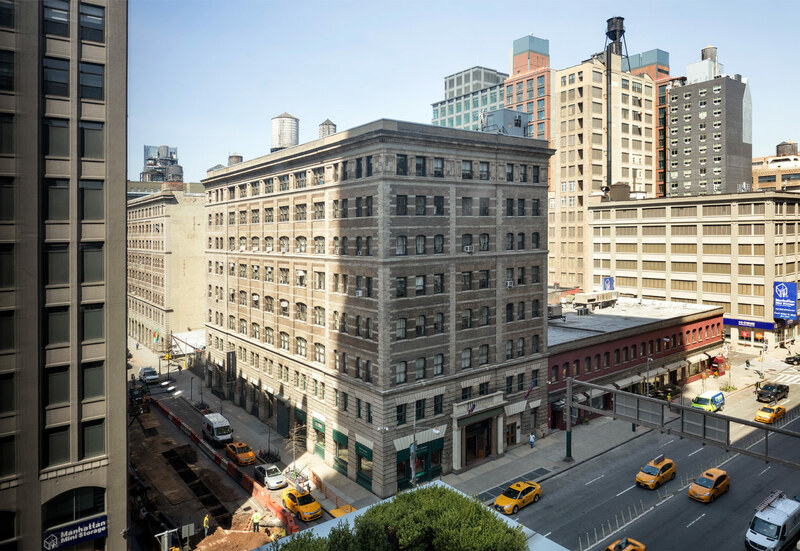 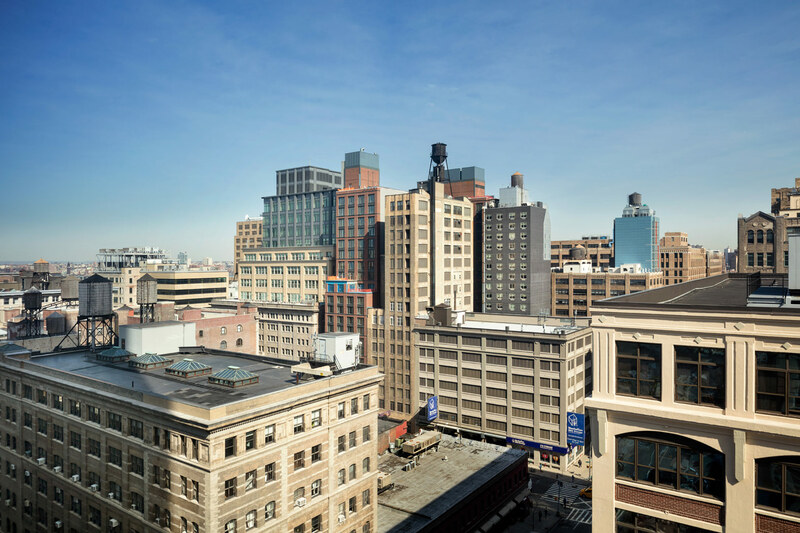 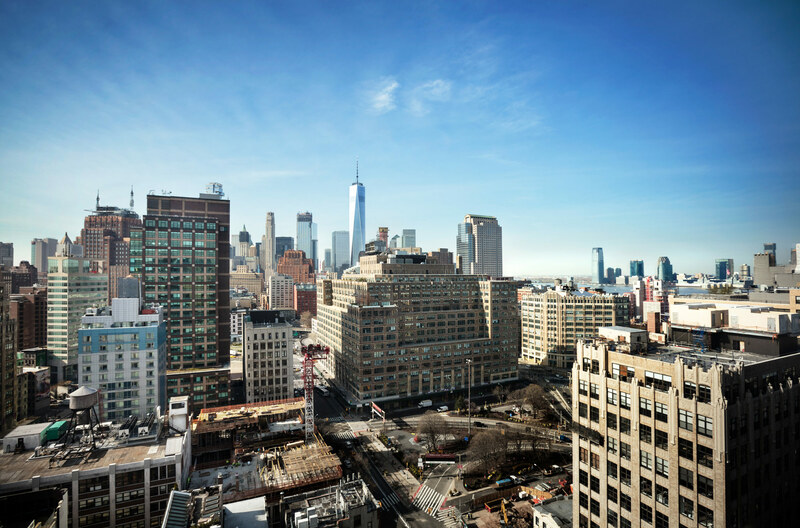 Get a birds-eye view of historic Hudson Square, a booming creative district located in West SoHo. 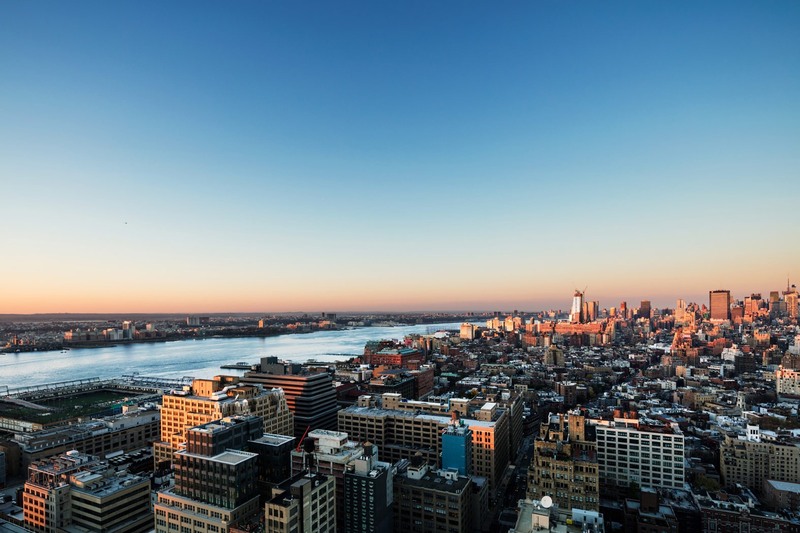 Take in unique cityscape views of New York City’s iconic skyline or the Hudson River. 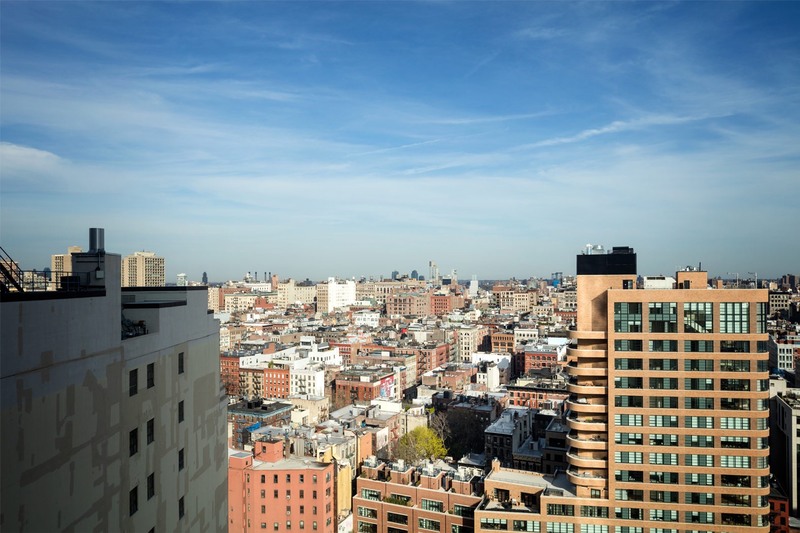 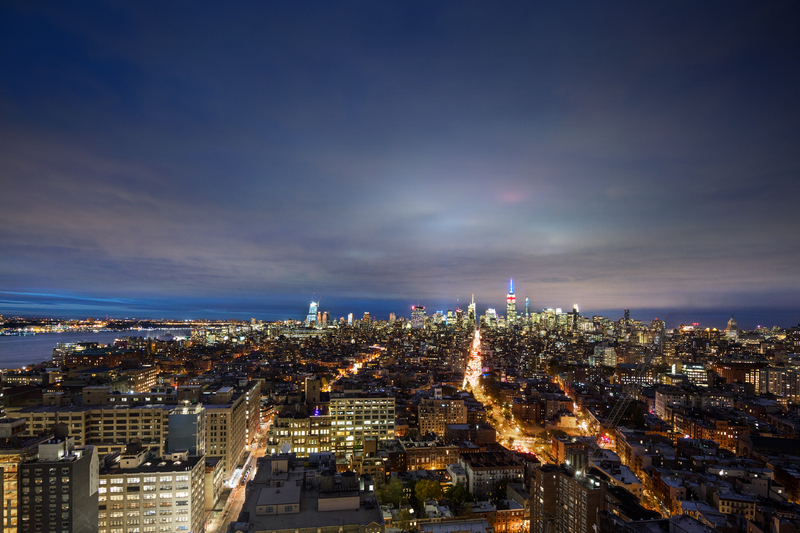 Look out your window and witness sweeping city skyline or Hudson River vistas. 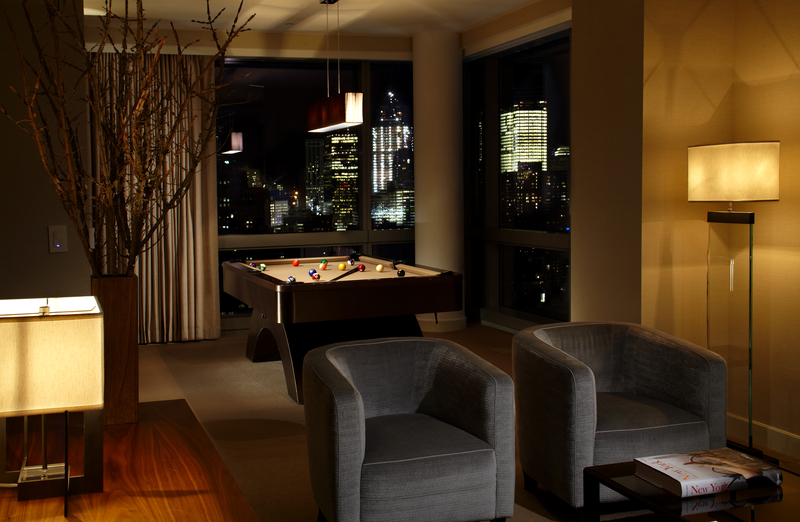 All SoHi View Suites including a host of complimentary amenities and services. 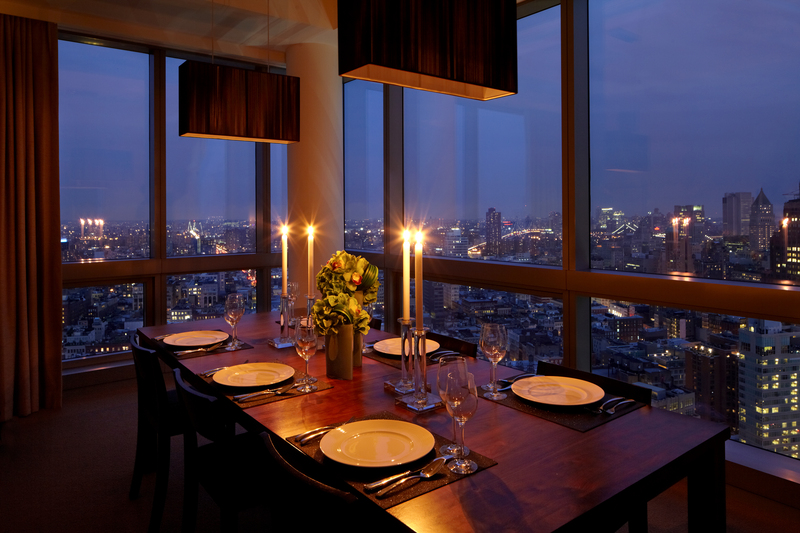 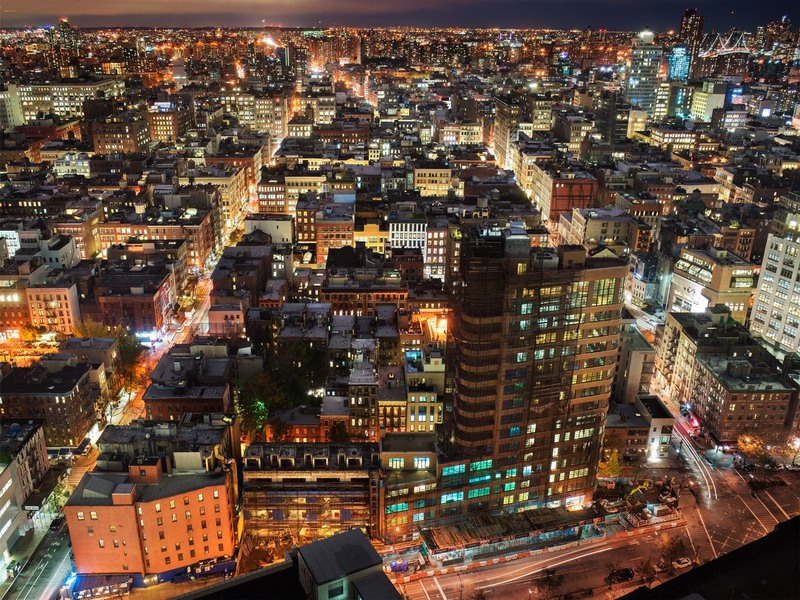 Enjoy the view from the top from our spacious penthouse suites with unforgettable views. 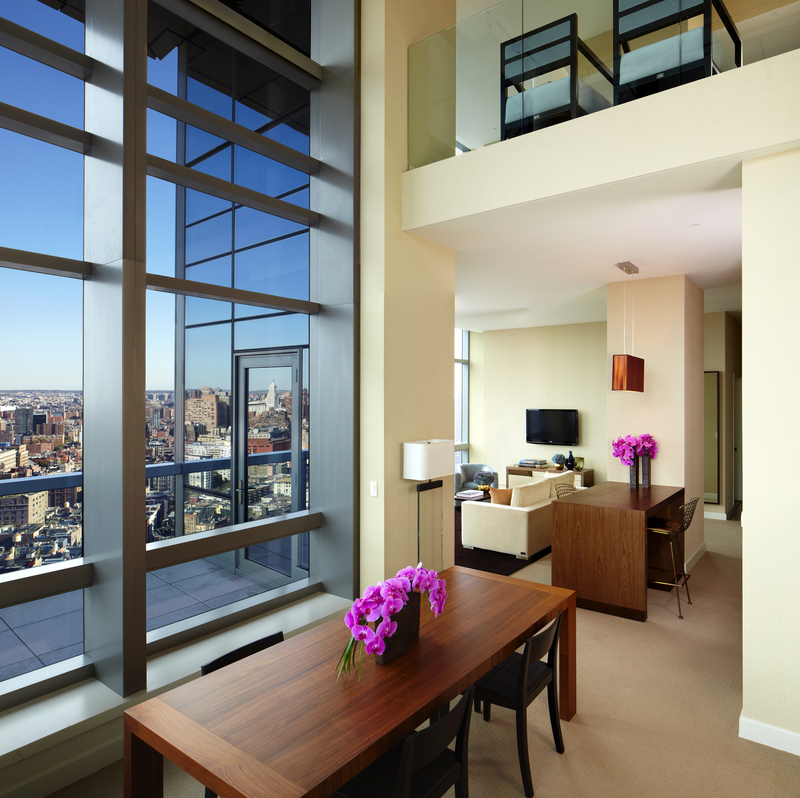 All penthouse suites include a host of complimentary amenities and services.